Besides suffering, animals can experience pleasure, which is also morally significant—and the principle of equal consideration of interests requires taking their pleasure into account. Consider one of Bob’s cows, Pesto. When Pesto goes to be killed for food, she will be deprived of years of her natural life, during which she could have experienced a great deal of pleasure. For instance, Pesto experiences pleasure every time she eats, and if she is deprived of, say, two years of life, then killing her amounts to a deprivation of two years worth of eating-pleasure. The same is true of other experienced pleasures. How does Pesto’s loss in pleasure compare to the human interests gained in killing her? Suppose Pesto’s flesh translates to 20 tasty meals, one per person. What is the human interest at stake? It is not the pleasure gained from those 20 meals, but rather, the difference in pleasure between those meals and 20 tasty plant-based meals that could have been eaten instead: e.g., 15 units of pleasure from Pesto-meals minus 12 units of pleasure from plant-meals, with 3 net units of pleasure. Hence, there is only a slight increase in human interests gained, if any, and it is wildly implausible to suppose that they could outweigh all the pleasures Pesto would have experienced during the remainder of her natural life (for animals experience consciousness to the same degree as humans – see here). What about the common argument that if farmers can’t raise animals for food, they wouldn’t exist? For those who truly live good lives, surely it’s better for them to exist than to never have existed; otherwise there would be no Pesto, and thus none of the numerous pleasures she experiences—the alternative is non-existence. However, as McMahan points out, this view commits a conceptual error: it is incoherent to claim that it is better off for Pesto to be caused to exist, for that would imply that she – that very individual – would have been worse off had she never existed. But to speak of Pesto being worse off had she never existed is to compare the Pesto in the actual world with an entity in a possible world – namely, non-existent Pesto. Non-existence is simply not a state in which one can be worse or better off, so the argument is confused. Finally, it is worth noting that if it’s morally permissible to raise and kill happy animals for food, then it would be morally permissible to raise and kill happy humans who are cognitively similar for virtually any reason, including important ones such as organ replacement. Almost no one would find the latter acceptable, and if the only dividing line is species membership, then there is no reason to think differently about the former. Thank you, Spencer. I think domesticated animals, especially those bred to be killed for food, do not exist for themselves. That some farm animals enjoy pasture, and some farmers give them names doesn’t change that. Seems to me it’s the ultimate betrayal to encourage living beings to trust you, and then turn around and kill them. Spencer, I also replied to this on James McWilliams Blog, “Slate”, but my post didn’t go through. You were doing okay, sort of, until the last paragraph, with the insane assertion that a human being — any human being — be regarded within the same parameters as a cow. Also, the hair-splitting over a happy, existing cow vs. a non-existant cow is straining to the point of getting ludicrous. I live in ranching country, and most of the cattle around here are free-range, grass fed, and live in a manner that is all a bovine could ever ask for. True, in non-existence, that unpleasant bit at the end would never happen. But, honestly, does one really need to go such ridiculous lengths in attempting to establish the hegemony of a particular ideology? Yes, vegetarianism is a solid and admirable moral choice. Even as a hunter, omnivore and occasional consumer of free-range, family-ranched beef, I can clearly see that. And I have absolutely no quarrel with it. And the enormity of mass-produced agri-industy meat is glaringly apparent, not only in terms of mass cruelty to animals and effects on the environment and public health, but also in its running roughshod over traditional, pastoral farming and ranching. I have virtually no respect for PETA as an organization — but bully for them, for producing a steady stream of gross-out confined livestock and mass slaughterhouse videos, which might eventually wreak enough havoc on the delicate and weak-stomached collective urban and suburbanite consciousness to someday put a dent in the agri-industry behemoth. On the other hand, or hoof, perhaps, such mental gymnastics and forced arguments as presented here are exactly why ideological veganism can appear ridiculous from an outsider’s point of view. Ok, sounds good, but then you will pay 100 dollars for a meat ball. Of course not…humans are inteligent beings that really think about feelings, sensations, happiness, sadness…prove me that non-human animals think like humans, and i will stop eating meat forever. Augusto, you asked for proof that nonhuman animals think like human, i.e., bi-pedal primates, do, so check the articles in the links below. I don’t recall ever saying that they were… What are you hoping to achieve if you shoot down every step someone tries to take in the right direction? It’s not going to go from one to the other over night. Progress occurs in steps. If you don’t incourage each step and only continue to assure that it’s not good enough, people are just going to get frustrated and give up on it. Even if it’s a “myth” someone is still encouraging the idea, right? Everybody wants to be a somebody and think that they are making a difference in the world. Grow up Spencer and get new friends. Yes, sure, sorry… I just thought about the animals that are used for food production, like cows, chikens, pigs, fish. These primates are really much close to us, but they are not used for food production. Sometimes they are required for medical research…but in some researches, there is no other way. About the non-human animals consciousness, the declaration agrees that are different levels of consciousness, and that we cant just assume that these animals think like us. No need to apologize. I agree with you that humans can’t assume other animals think exactly like we do, but farm animals have some of the same emotions, feel just as much pain, and want to live just as much as we do. Unlike most humans, one of my dogs perceived direct eye contact as a challenge or a threat. I was able to assure him to trust me, but if he didn’t know someone, eye contact was not welcomed. So yes, there are ways humans and other think differently, but we’re a whole lot more the same than different. Furthermore, we don’t even use biological or physical attributes to distinguish rights over each other. A physically challenged person still has no more or less rights than I – Even if we compounded those issues with mental inabilities as well. Our standards are consistently the same with each other. The whole notion of using animals “dumber” than us is just based on species criteria. It is far too arbitrary a standard in a scale of universal justice… If we aren’t the only planet inhabited by living beings – And we encountered another more “intelligent” species who would use us based on that reason — Rightfully we’d scream bloody murder and would claim we had every right to our own lives even *if* we weren’t as smart as our oppressors would be. I think/hope you will see that measuring rights according to intelligence just doesn’t fit the universal justice model and therefore fails to work as our ethical Earth-code as well. And I suppose that is the crux of using “happier” animals over less happy ones as well… All things being likewise – As Ellie implies: We all equally wish to live. Everyone always runs to how animals are not people therefor they have lessor/no rights. That question is best left for another blog post (or 100), but I never understood why exactly it is intellect that we decide makes it wrong to kill. What a lovely coincidence that it fits our diets so perfectly though. Really, that question is at the heart of humane meat, and just about any meat. Humane meat just already acknowledges that the animals have some rights (or else it would be senseless to treat them well), but still insist that the animals do not have a right to life. I agree with happy meat…i know that non human animals have some kind of perception, and it will be very good if we could raise happy animals and make their meat economicaly viable to be consumed by all people…but I think that this is impossible. 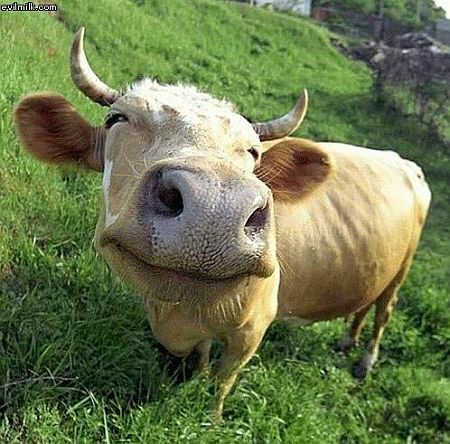 Happy meat will be expensive meat, and will not solve the problems of food supply. Ou society agreed that we cant use biological or physical attributes to distinguish rights over each other…but we are talking about human relationship…we all agree that all humans have the ability to think…and those that have mental problems, maybe they don’t think as we, but their relatives do, and love them….and this is what justifies their rights. And i dont think that inteligent beings in other planets thinks this way. In fact, there are a lot of people in the world that claims that they were abducted by aliens and suffered terrible experiences…these people really lost their lives believing in this, and sometimes there are good evidences to support their story (although science disagree with that)…so I think that we are completely vulnerable to this threat. A more advanced race will look at us the same way we look at ants…and if they need this planet for their survival, they will not think two times before came here and wipe us out. About my “hair-splitting” over existence v. nonexistence: I think it’s an important logical point. A common justification is that it is *better for* the animals to be caused to exist than to never have existed, but, as Jeff McMahan argues, this involves a conceptual mistake: the claim implies that those very animals, if *they* never existed, would have been *worse off,* which is impossible. Things can’t go worse or better for individuals who never existed. But the main argument against “happy meat” is that the pleasure-interests of the animal far exceed the pleasure-interests of humans—years of deprived pleasure v. a few minutes of tasty meals. In terms of both quality and (especially) quantity, it seems that the cow wins out.